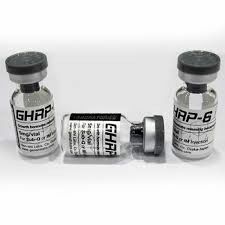 GHRP use is chosen as an alternate to GH use, and only rarely is combined with GH.The principal use of GHRP-6 is to provide increased GH levels, which also results in increased IGF-1 levels. This aids fat loss and in some instances aids muscle gain as well. The term/phrase “saturation dose” or “saturation doses” can be heard a lot when peptides are discussed. A saturation dose is defined as a dose that will completely (or near completely) saturate the peptide’s target receptors. In GHRP-6’s case, this means the Ghrelin receptors located on the hypothalamus and the anterior pituitary.